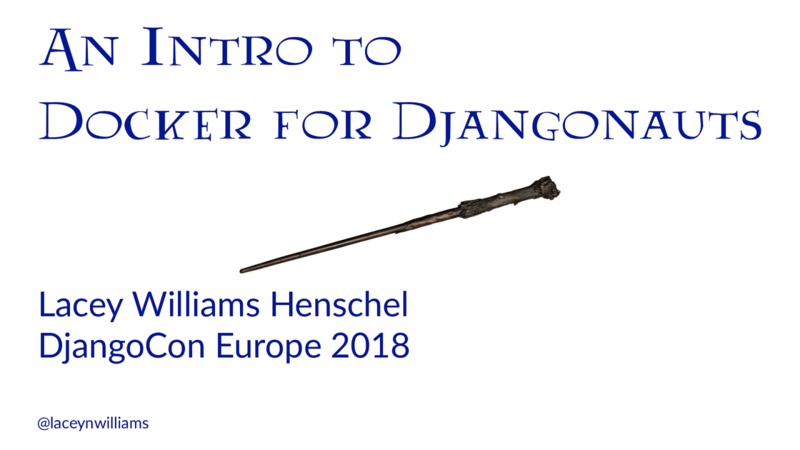 2021341641d7 hogwarts "python ./manage.py …"
View An Intro to Docker for Djangonauts on Notist. In this talk, you will find that middle ground: a talk that doesn't assume you're familiar with Docker and so keeps everything simple, but leaves you with enough information that you can get started as soon as you leave the room. Lacey puts presentations on for free. You can too. Awesome talk @laceynwilliams. I had big expectations of it, and you definitely didn't let me down!